Tim Kennerly has over 20 years of experience, with a Bachelor’s of Science in Civil Engineering Technology from University of North Carolina – Charlotte. 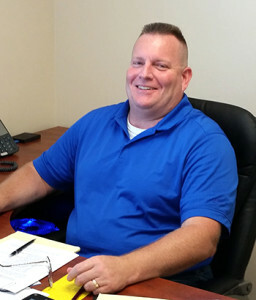 Tim is a member of the Professional Engineers of North Carolina. In addition to design services, Tim often serves as Construction Administrator for projects with budgets from $100,000 to $10 million+. His experience includes serving as Construction Administrator for projects, in addition to designing and rehabilitating blast pads, runways, taxiways and taxilanes, as well many of the categories listed above. Visit Airport Design for details about the various projects, or any of the other Service Categories, on the left.